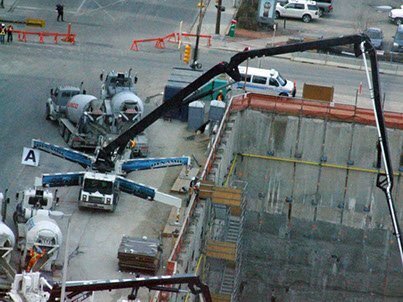 The 55-meter concrete pump is among the lightest-weight and most flexible solutions for pouring concrete on medium to large commercial construction projects. These innovative pumps are ideal for high-volume pumping on sites where you need to reach over obstacles and deliver concrete to difficult-to-access areas. 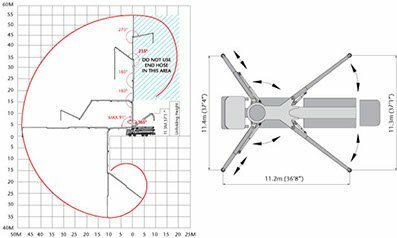 The five-section boom with a 360-degree rotating pedestal provides the articulation to navigate around obstacles and hazards and reach the top floors on high-rise projects. 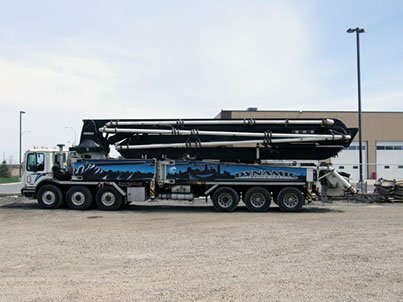 Whether you need an oversized slab for an industrial warehouse or retail complex or you are filling elevator shafts and core walls for high-rise construction, our 55-meter concrete boom pump is up for the task. Contact us about our concrete pumping and pouring services today.